Florida drivers pay a lot for auto insurance; in 2017 they ranked as the fifth highest state for insurance rates, compared to the national average. The problem is exacerbated by the difficult home insurance market, which means a lot of drivers miss out on the big auto/home discount. Unlike home insurance, however, Florida drivers do have a lot of excellent companies to choose from. Finding the best car insurance is a matter of taking the time to shop around. Florida is an unusual state when it comes to mandatory insurance. Unlike most states that require all drivers to carry bodily injury liability as well as property damage liability in minimum amounts, Florida requires only $10,000 in property damage liability. They also require $10,000 in personal injury protection. Personal injury protection (PIP) is a part of the Florida no-fault approach to insurance, in which your PIP coverage applies to your injuries regardless of who is at fault in the accident. It is important to note that this does not mean you cannot be held liable for injuries to someone else if you are found to be at fault in the accident – you can. That means that even though Florida law does not require it, you should always carry bodily injury liability coverage. In some situations, drivers may be required to carry bodily injury coverage along with the other coverage required by law. This usually applies to those that drive taxis, but it has other applications as well. Again, regardless of whether it is required, this coverage is vital in protecting yourself financially from the aftermath of an accident. If you have a loan on your car, you will need to meet your lender’s requirements for coverage – this will likely include comprehensive coverage and collision coverage, and it may also include limitations on your deductibles. Aside from the laws mentioned above, there are no additional differences to Florida when it comes to auto insurance. No-fault insurance laws in Florida mean that your insurance company will always pay out first, up to the limits if your policy. After that, the at-fault driver can be held liable for damages and injuries. As a result, it’s very important for Florida drivers to take seriously the recommendation that they carry far more than the legal minimum. Since Florida is a notoriously expensive state for car insurance, we first looked for companies that offer some of the best rates overall. Then, since cheap does not always equal good when it comes to insurance, we also looked for companies that offer good value for the dollar. What good value from an insurance company means is that you are able to get solid, comprehensive coverage and also backed by a company with a reputation for paying claims reliably. Good customer service from the policy purchase to the day your claim is closed are also a part of value in the insurance industry. While the home insurance market in Florida has been difficult since major storms caused some big companies to pull out, we did look for companies that offer some form of discount to homeowners. That does not always mean a bundle of home and auto, some insurers offer a discount just for owning your home. These three companies provide Florida drivers with reasonable rates, and they back those rates with great service, too. One of the most affordable car insurance companies nationwide, GEICO also ranks among the least expensive in Florida. Their direct-buy approach to car insurance cuts out the agent commission, and that helps keep GEICO one of the least expensive options. 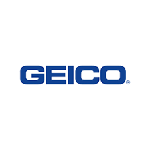 Not only the affordable, though – GEICO also ranks well for customer service. Their high value car insurance policies have made them the second largest insurer in the nation. Furthermore, GEICO partners with Liberty Mutual to offer an auto/home discount, a company that writes homeowner’s insurance in Florida. MetLife was the top-ranked auto insurance company in Florida for 2017, according to the annual J.D. Power survey, with high ratings for all areas of customer service, including claims. That reputation is aided by the fact that Met Life does, in fact, write homeowner’s insurance in Florida, which means the auto/home bundling discount is available to help mitigate rates. The company also offers discounts to a lot of different affiliate groups, including many that are offered as employee discounts – check with your company to find out if you qualify. State Farm is the biggest home and auto insurance company in the nation and often ranks better than most expect when it comes to rates. That applies when it comes to Florida, where they come in among the more affordable options. State Farm also does write homeowner’s insurance in the state, and it offers a nice discount for bundling that can help reduce your rates even further. For those who want to work with a local agent and still get a good rate, State Farm is a great choice. Shopping around for car and home insurance at the same time is usually a good idea, but it can be a lot more difficult for Florida residents, where home insurance can be very expensive and difficult to locate. It is still worth checking out your options, though – especially at companies where the bundling discount is offered. This is especially true when the bundle means a discount on both policies. For many drivers, however, it may well be the case that insuring in separate locations is the way to go financially. The biggest thing to remember when shopping for car insurance in Florida is that the legal minimums are extremely low. Carrying a legal minimum policy gets you on the road legally, but you may find yourself in serious financial trouble if you are at fault in an accident. Many companies will quote the legal minimum in order to make their rates look good, therefore be sure to ask every time what limits are being quoted. You will pay more for a policy with higher limits and more coverage, but it is well worth it in the event of an accident. Car insurance rates vary greatly across the state, and they differ based on where you live. Large cities and rural areas have very different rates, so the right company for you can depend on location. Florida rates are high, so this is a state where it is vital to shop around and make sure you are getting every possible discount. It may take a little effort, but Florida drivers can save a lot of money by taking the time. It also bears repeating that the legal minimum may not be adequate coverage, so you will likely want to kick up your limits before you quote.